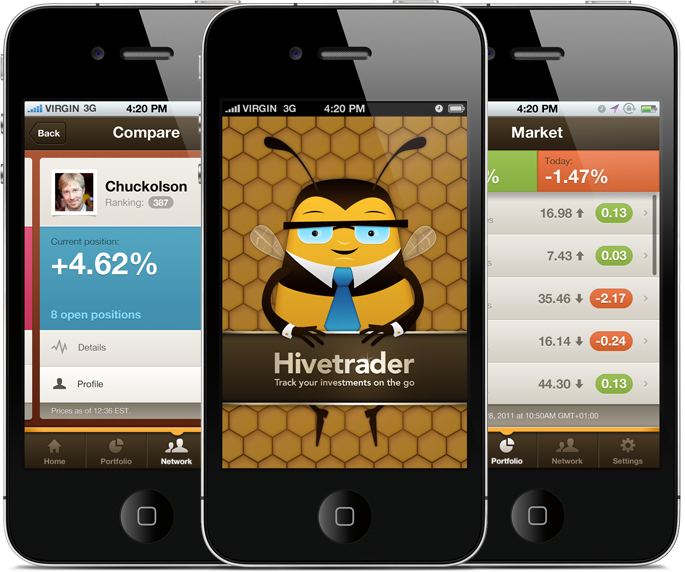 Hivetrader is a stock trading app where you can follow ‘hives’ managed by trusted traders. You apportion your funds and when the hive trades you trade. 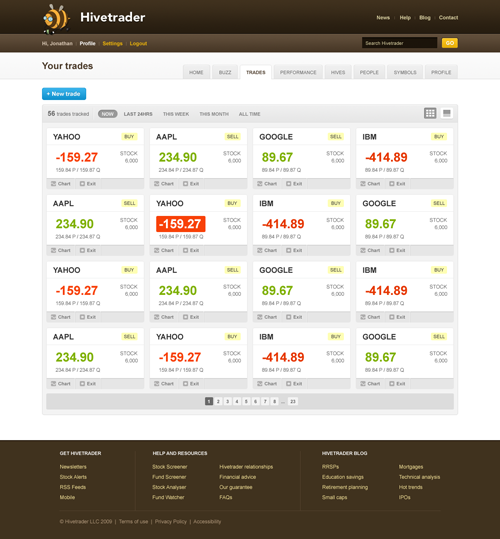 You can track your live trades as well as interact with the rest of the hivetrader community. Hivetrader approached us as they wanted to primarily work with a small, dedicated team. They also wanted to use our skills to combine illustration and sharp UI design to create a character led brand and bring a slightly lighter sentiment to the stock trading community. 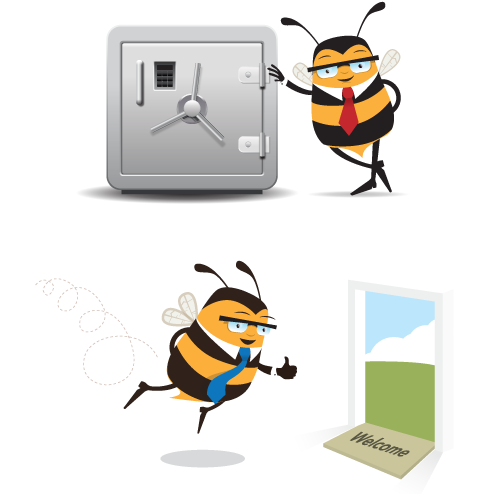 We created the Hivetrader logo mark and other brand assets including its leading character, Mr Bumbles. We worked through in-depth UX and UI design for both the web and native iPhone apps and also worked closely with their development team to integrate our front-end code. 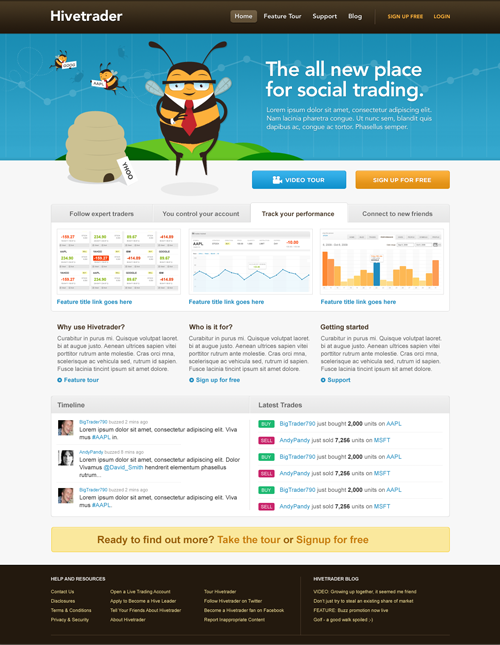 Hivetrader is run by entrepreneur, golf fanatic and friend Scott Owens. 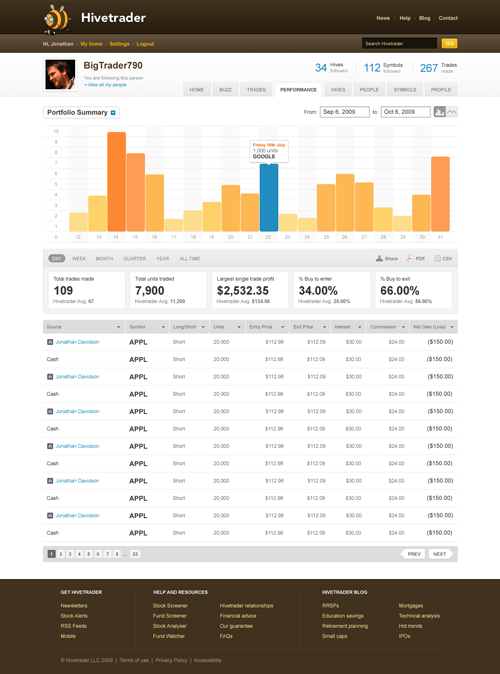 The app is still under beta testing but we’re hoping to launch in the very near future. Supereight have a warm, professional approach, meet deadlines with high quality work and maintain unparalleled attention to detail.